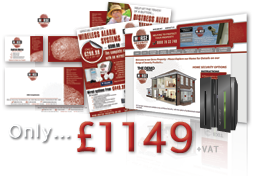 If you have a newly formed company and require various design items including logo design, web design, stationery design, marketing design and even printing, then our business startup package maybe the ideal solution. These business startup packages have been created to establish your branding with ease at a cost effective fixed rate cost. We offer a variety of business startup packages, however if you require a package that is not covered below please don't hesitate to get in touch with your requirements and we can put a tailored business startup design package together for your based on your requirements. 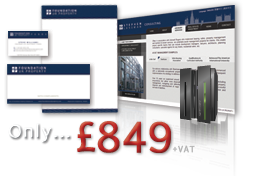 Or simply complete our design quote form and a member of our team will email you with your business startup package details and cost. Whether you require a logo design and printed business cards or a complete logo, web design and stationery package, you should find the business startup packages below a viable solution to you design and print needs. If you would like to order one of the available packages please click the enquire button and complete our quotation form to get the ball rolling or alternatively contact a member of our team who will be happy to answer any questions you may have.